Being able to archive your files is very important. For one thing, it reduces the size of your files. Storage space is incredibly important, so users should conserve as much as they can. Archiving and compressing is one of the ways that can be done. Another good thing archiving does is being able to distribute files easier. Since you’ll be archiving files, all you have to do is send one file instead of a hundred. There are popular file compression software out there that you can use such Winzip and Winrar, but Bandizip by Bandisoft is undoubtedly an alternative that can go toe-to-toe with them. Right off the bat, the first impression you’re going to get with this program is the fact that it is extremely stylish in design. Impressively, its installer is just as stylish as the program itself. The Bandizip has a blue and white color scheme that’s very similar to Facebook’s Messenger, and its installer has that color scheme as well. The installation process itself was pretty quick and easy. It just took a few seconds and the program was installed. One minor problem with the installation process was that after the program has been installed, users will be directed to the Settings at once. For people who use archives and file compressors often, they may not get lost. In fact, they may even appreciate this feature. However, for most people, this will no doubt be a source of confusion. Thankfully, there’s no need for new users to actually change any settings. If you’re not comfortable changing any settings in fear of causing damage and problems, you can just click OK and you’ll still be able to use the program just fine. I’ve never had a problem creating archive files with the industry mainstays such as 7zip and Winrar, so Bandizip had high expectations on its shoulders. Fortunately, it did deliver a solid performance. Compression is an extremely intuitive and simple process. The first screen of the program only has two buttons, Open Archive and New Archive. Obviously, if you want to make a new archive, just click on the corresponding button. In the new dialogue box that will pop-up, add the files that you need then click start. There are several settings at the bottom half of the dialogue box that you can edit according to your wishes, but if it’s just simple compression, there’s no need to touch those. Extraction just as simple. From the same start screen, all users have to do is click on Open Archive and choose the archive that they need. They will be able to view the files within the archive and from the commands at the top of the screen, they can choose to extract, add files, delete, and more. Alternatively, users can proceed to the archive using their file explorer and right-click in the file. Bandizip has a cool feature where the files of the archive are previewed in the right-click menu. There are very little negative points about this program. It has a lot to offer, and no doubt users will not regret downloading it. It might even be better than the file compressor you’re using now. 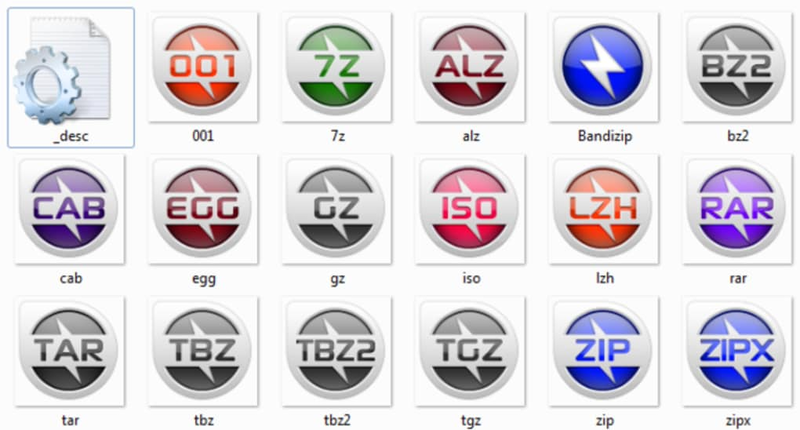 Bandizip is ultra-fast file compression software with an easy-to-use interface. Bandizip allows the users to preview compressed contents with right click menu on the Windows Explore. In addition, Users directly see an image file contained in compressed ZIP, RAR, 7Z, LZH or TAR files without extracting. Been using it for a couple years now,it is by far better than WinZip or WinRAR.